Explanation: Tidally locked in synchronous rotation, the Moon always presents its familiar nearside to denizens of planet Earth. From lunar orbit, the Moon's farside can become familiar, though. 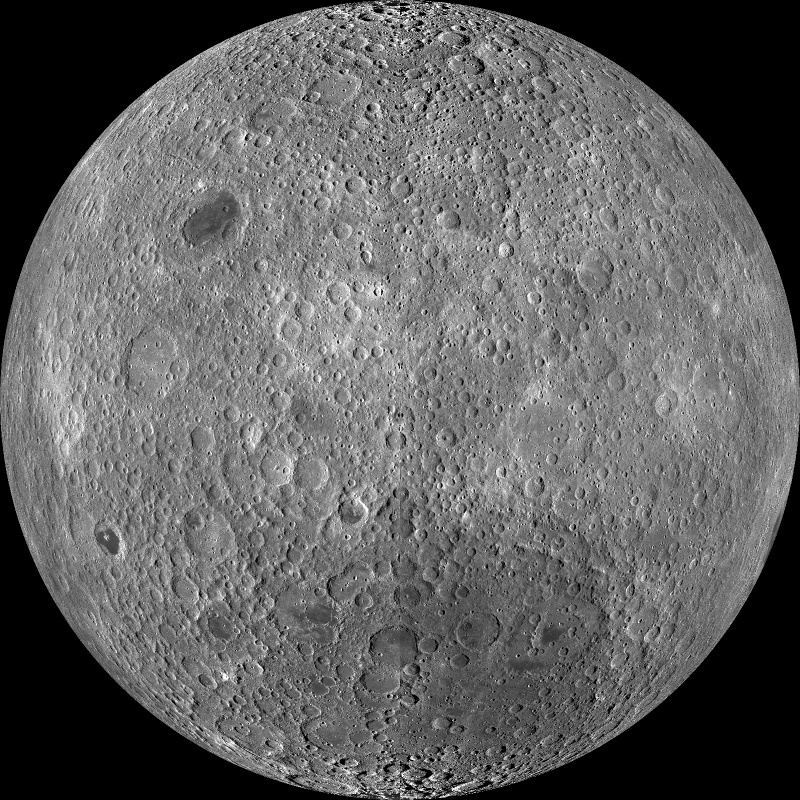 In fact this sharp picture, a mosaic from the Lunar Reconnaissance Orbiter's wide angle camera, is centred on the lunar farside. Part of a global mosaic of over 15,000 images acquired between November 2009 and February 2011, the highest resolution version shows features at a scale of 100 metres per pixel. Surprisingly, the rough and battered surface of the farside looks very different from the nearside covered with smooth dark lunar maria. The likely explanation is that the farside crust is thicker, making it harder for molten material from the interior to flow to the surface and form the smooth maria.